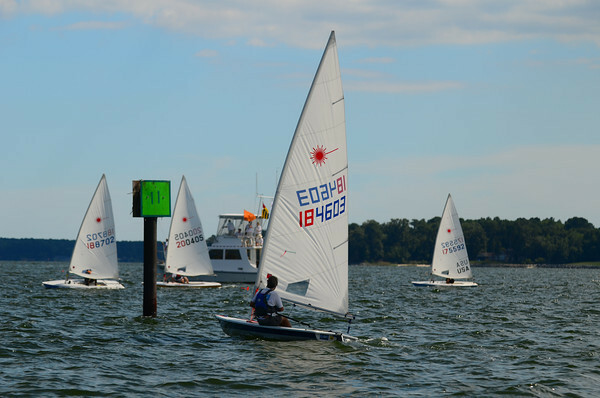 Here’s the rest of the video from Chesapeake Bay Laser Masters Championship after the wind picked up and the paddle board competition was over. 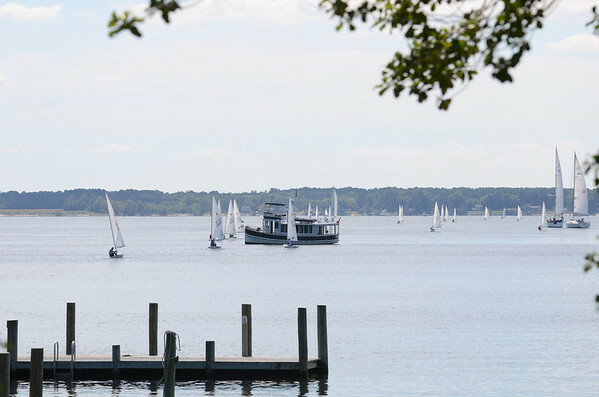 Our yacht club has been working on a new long range plan and we’ve done a bit of age analysis to see how our membership has changed over the past 10+ years. 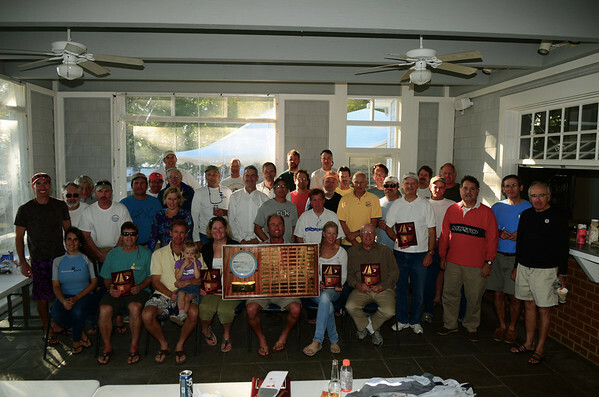 For the past 8 years I’ve run the Chesapeake Laser Masters Championship and I usually skimp on awards for the Great Grand Masters (65+) because historically there have only been a handful of competitors in that bracket compared to the more numerous competitors in the younger age brackets. 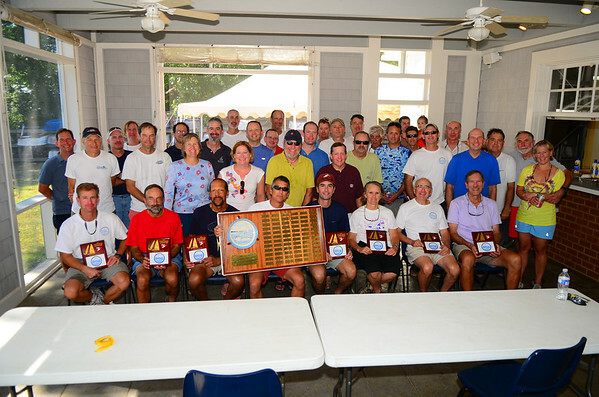 This was the first year that several competitors pointed out how many more GGM sailors there were and thus deserved trophies that went a little deeper. 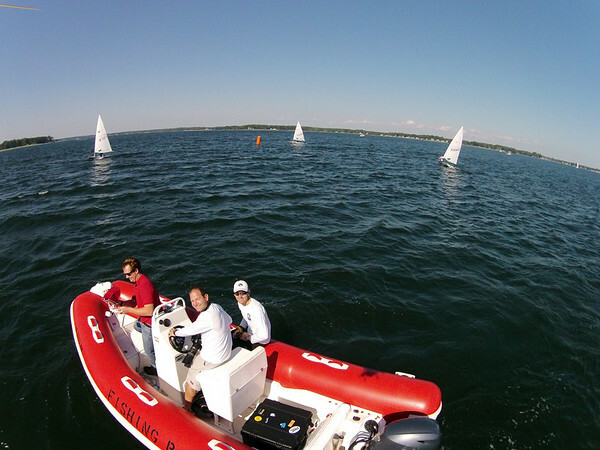 And that has gotten me thinking about the age demographics of our Laser Masters regattas. 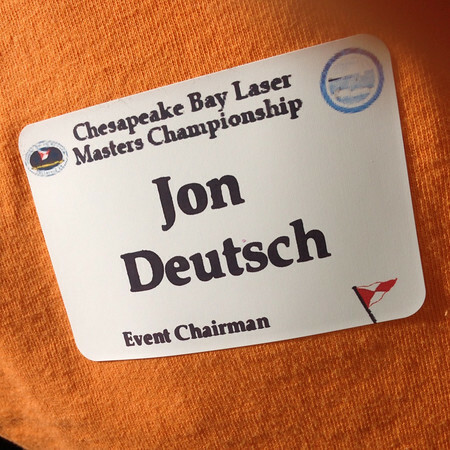 Here are the demographics of the Chesapeake Bay Laser Masters Championship for all of the years I have available. 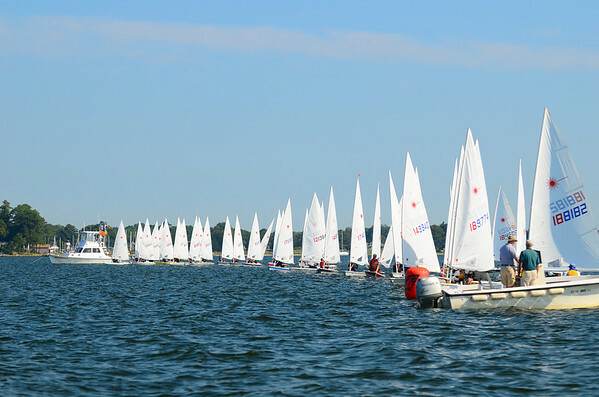 Laser Masters sailing starts at 35 years old and the brackets are Apprentice: 35-44, Master 45-54, Grand Master 55-64 & Great Grand Master 65+. 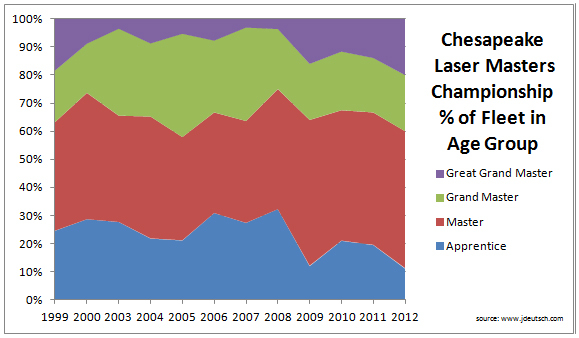 I’ve broken down each year by % of the fleet in each of the age groups to show how that has changed over the years. Both regattas differ a little bit in what they show and which age groups are growing, but both clearly show over the past 3-4 years a smaller Apprentice category and slightly larger M, G and GGM categories. What’s causing this? 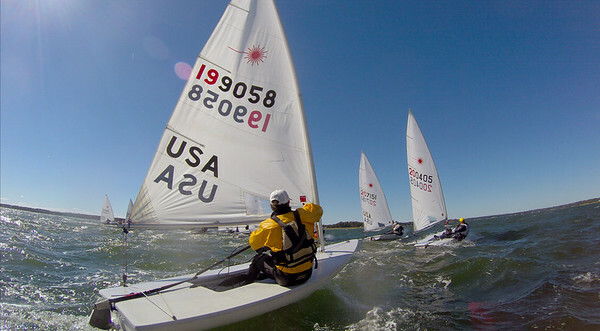 It could be the aging Baby Boomer population who were in their teens-20-30s when the Laser became popular in the 1970’s and learned to sail on them. 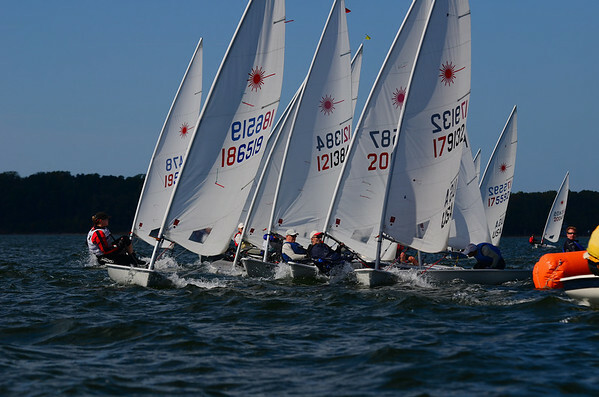 There’s always been a bit of a boomerang in sailing where people go away during and after college and while they are starting families, and then they tend to come back and involve their family in sailing. Could it be that the following generation (X) that was raised in Optis and spent less time in the Laser, is not returning to the Laser in the same numbers as the generation before them? 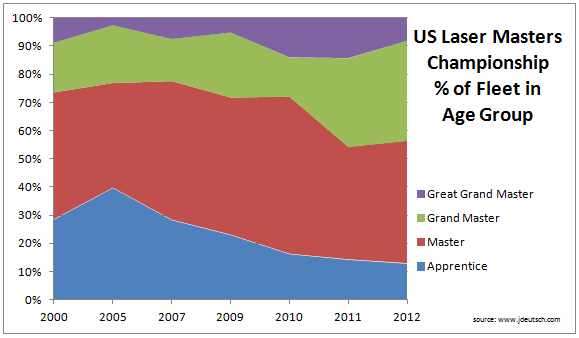 Or are more boomers just boomeranging back into the class later in life and skewing the pot? Time will tell, but there’s clearly a change underway. What are your thoughts? Leave them in the comments. 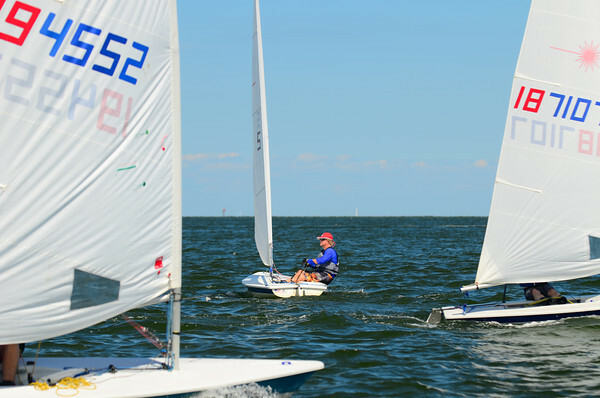 Why Chesapeake Laser Masters and US Masters? 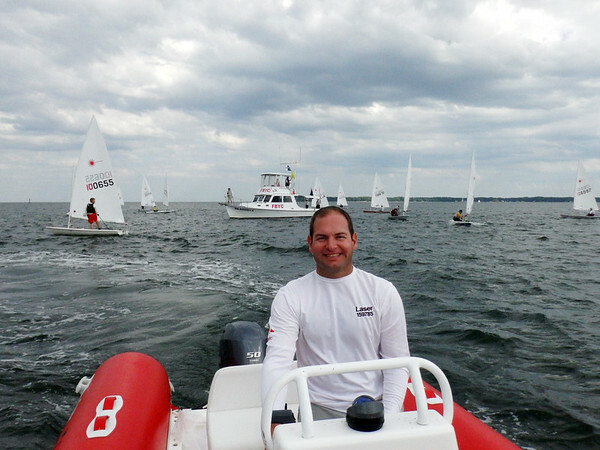 1) Because Masters events are the only events where we know the age bands of sailors. 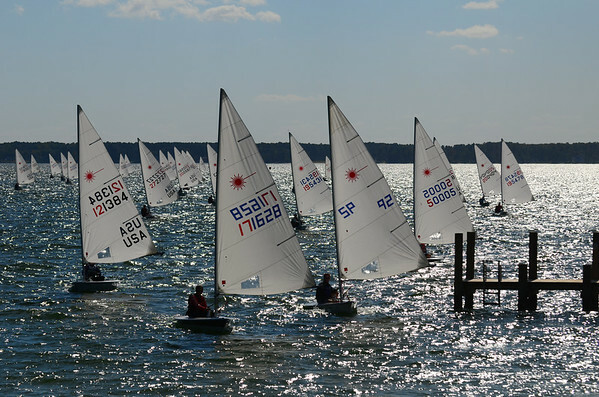 While there are regattas that know the age of the competitors, it’s not typically published. 2) These are the events that I had the most and oldest data on. 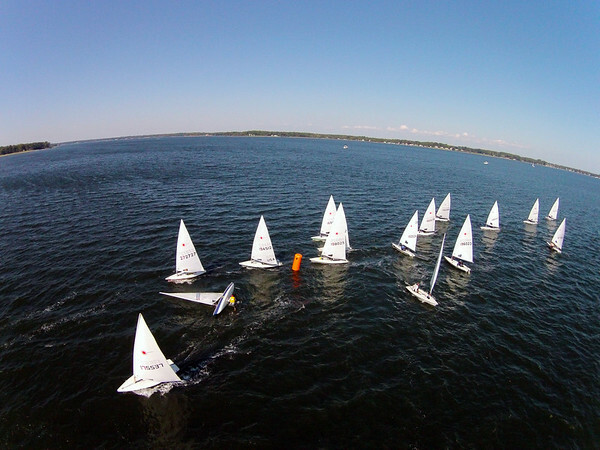 All in all it was a great regatta. 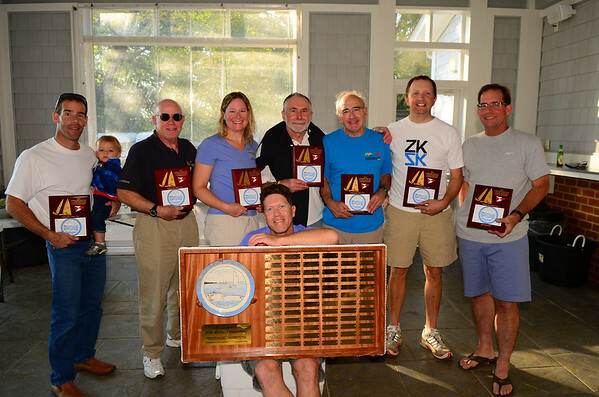 I couldn’t have done it without the help of our race committee and all of the Laser Fleet members who helped out. 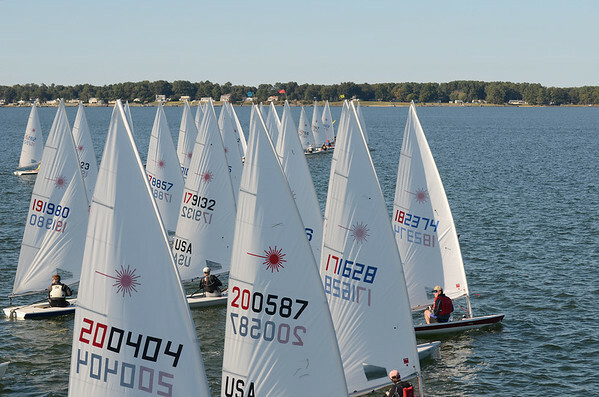 And it was nice to have all of the masters sailors I see so often on the regatta circuit come sail with us in Deltaville. 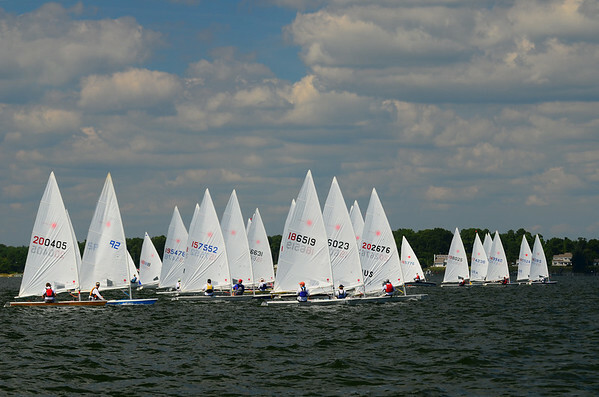 Here’s the back t-shirt design for the 2012 Chesapeake Bay Laser Masters Championship. It’s based on this picture. The front will feature the plate logo. 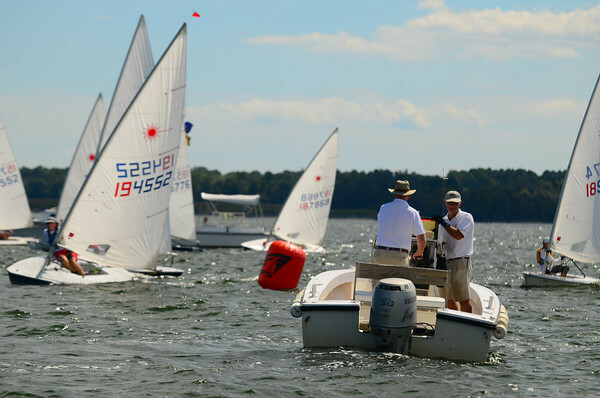 The Chesapeake Bay Laser Masters Championship has been sailed by Laser sailors over the age of 35 since 1981. In the early years of the regatta Alain Vincey had beautiful plates made that were given to the competitors as prizes. 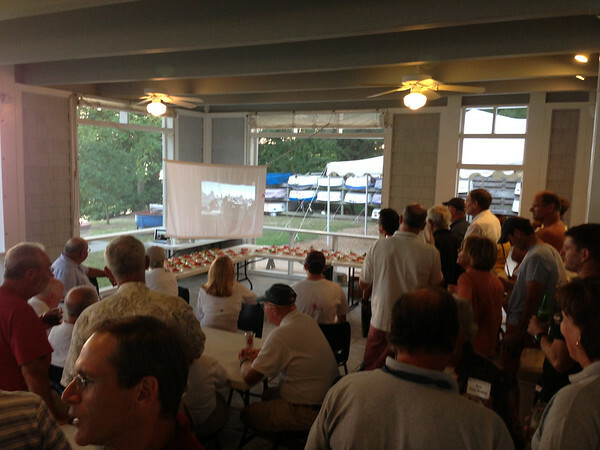 The last of these plates was made into a perpetual trophy for the regatta. About 10 years ago the trophy fell over, and the ceramic plate was shattered. The plate was painstakingly repaired and has hung in the clubhouse ever since. 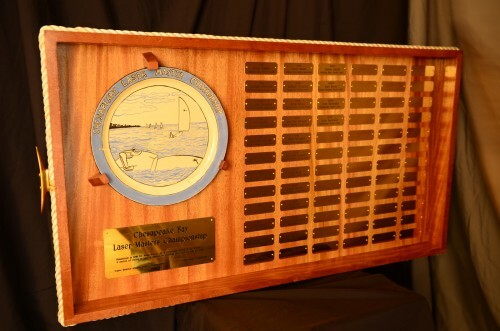 As great of a trophy as it was, I wanted to be sure the plate would be protected and that the regatta would have a trophy that would last for years to come. With those goals in mind, I planned a trophy that looks like a serving tray with sides that would protect the plate mounted to it. 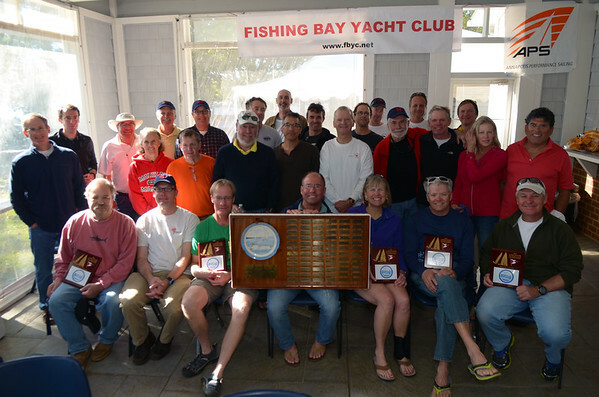 And although I’m not yet of age to sail in Masters regattas, I made sure there would enough room for winners to cover well past the time that I ‘age out’ of Laser masters sailing. 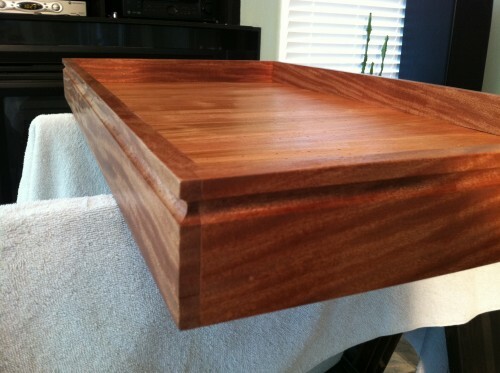 The trophy was built at the beginning of October out of 13 pieces of 3/4″ mahogany. 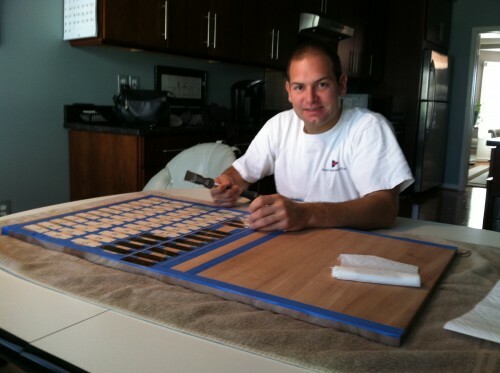 Next chocks were made to hold the plate in place and the plaques were aligned and drilled. 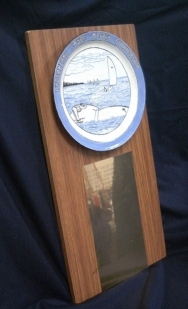 The trophy was then finished in a natural glossy finish. Then the rope border was mounted. Finally the plate and plaques were mounted to complete the trophy. 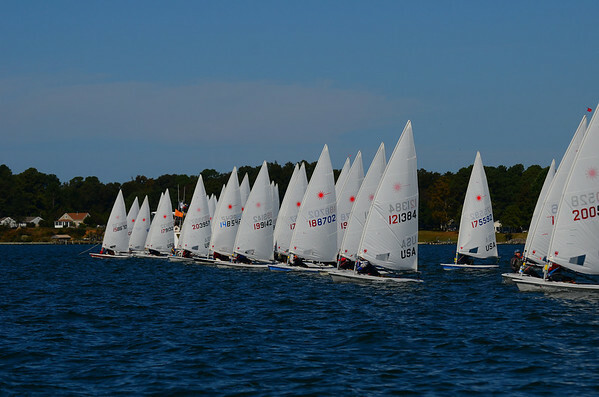 Winners at the 30th Chesapeake Bay Laser Masters Championship on October 15-16, 2011. 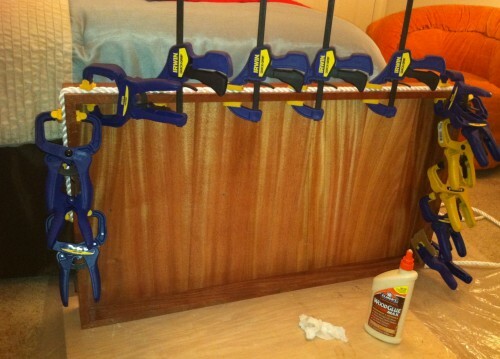 I want to thank my father, Stan, for his help and tools. And thanks to Alain Vincey for the kicking off the regatta years ago and providing the plate and original trophy for it.